Vauxhall has announced that its Zafira Tourer seven-seat MPV will be priced from £21,000, undercutting the Ford S-MAX, a key rival, by £1,200. It goes on sale in early 2012. The entry level ES trim level will be generously equipped as standard, with cruise control, air-con, MP3/AUX-in, six airbags, a seven-speaker audio system, active headrests and the Flex7 seating system. There will also be Exclusiv, SRi, SE and Elite trim levels above the entry level ES model. The Zafira Tourer sits above the ‘regular’ Zafira in the Vauxhall range, and is larger and more spacious than its smaller sibling. Numerous engine variants will be available; a 1.4-litre turbo petrol, 110PS and 165PS 1.8-litre petrols and a 2.0-litre CDTi diesel with three power outputs. Thanks to components lifted from the Insignia saloon the Zafira Tourer will be a dynamic car to drive, claims Vauxhall. 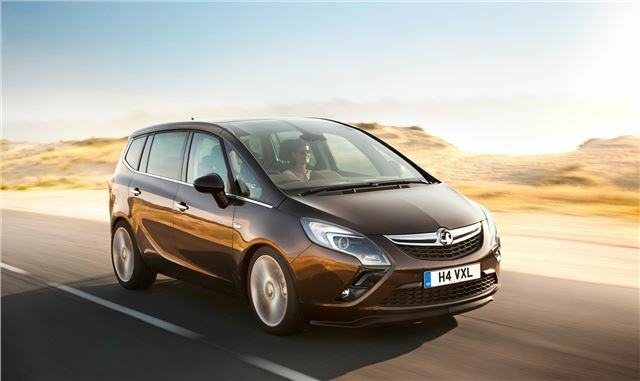 You can find our ten most recommended MPVs here.